A veteran of 37 professional fights during his 13-year career, Franklin compiled a record of 29-7, 1NC (14-6 UFC), which included wins over UFC Hall of Famers Ken Shamrock and Chuck Liddell, former UFC middleweight champion Evan Tanner, and former PRIDE middleweight champion Wanderlei Silva. 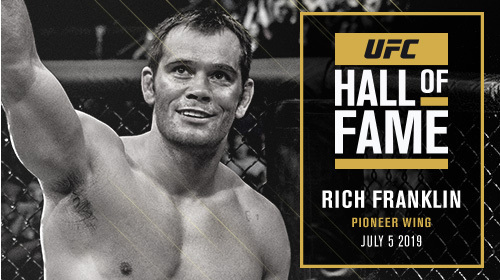 Rich Franklin Joins the UFC Hall of Fame Apr 13, 2019 (3:46) A veteran of 37 professional fights during his 13-year career, Franklin compiled a record of 29-7, 1 NC (14-6 UFC), which included wins over UFC Hall of Famers Ken Shamrock and Chuck Liddell, former UFC middleweight champion Evan Tanner, and former PRIDE® middleweight champion Wanderlei Silva. 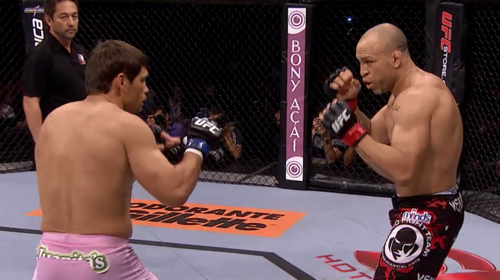 Rich Franklin vs. Wanderlei Silva UFC 147 Jun 23, 2012 (45:15) Two huge fan favorites threw down in a rematch between two of the very best fighters in the history of mixed martial arts, as Brazil's Wanderlei Silva took on the former UFC middleweight champ, Rich Franklin. 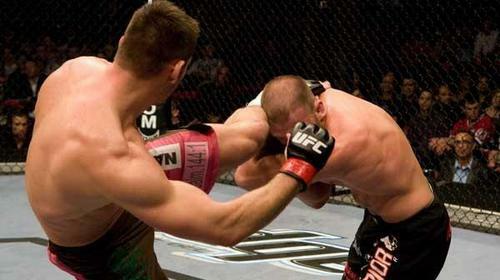 Rich Franklin vs Chuck Liddell UFC 115 Apr 6, 2011 (19:44) Two former UFC champions squared off in this headlining bout, as Rich Franklin and Chuck Liddell fought to prove that they were capable of making another title run. However, only one man was able to take a leap towards regaining championship status. Rich Franklin vs. Wanderlei Silva UFC 99 Jun 13, 2009 (26:50) It was champion vs. champion as former UFC middleweight champ Rich Franklin took on former PRIDE FC middleweight champ Wanderlei Silva. 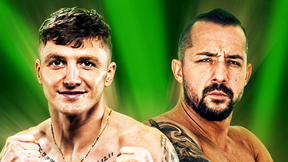 Putting these two explosive fighters in the Octagon together made this an unpredictable and can’t miss fight for UFC fans. Rich Franklin vs. Matt Hamill UFC 88 Sep 6, 2008 (27:19) Former UFC Middleweight Champion Rich Franklin returned from the 185 to the 205 lb class, and the well seasoned veteran came into this bout boasting a 25-3 record. But that didn't scare Matt 'The Hammer' Hamill, and his will to win that was so fierce, he had not been stopped yet. Rich Franklin vs. Travis Lutter UFC 83 Apr 19, 2008 (24:16) Rich Franklin returned to the Octagon™ to take on submission specialist Travis Lutter as the UFC® headed to Montreal, Canada. 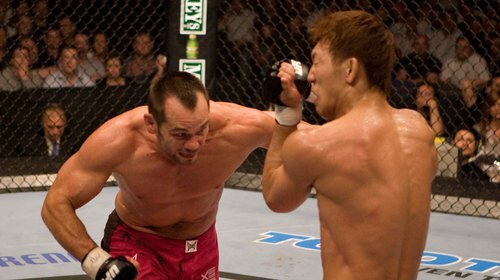 Rich Franklin vs Yushin Okami UFC 72 Jun 16, 2007 (33:53) Rich “Ace” Franklin continued his quest to regain the UFC Middleweight Championship when he took on another top middleweight contender, Yushin Okami. Rich Franklin vs Jason MacDonald UFC 68 Mar 3, 2007 (27:35) Rich Franklin was on a 7 fight winning streak before Anderson Silva won the Middleweight belt at UFC 64, but Franklin was back, recuperated and ready for Jason 'The Athlete' MacDonald, who had taken 16 of his 18 wins by way of submission. Rich Franklin vs David Loiseau UFC 58 Mar 4, 2006 (17:14) Rich Franklin put his UFC middleweight belt on the line against David Loiseau at UFC 58. 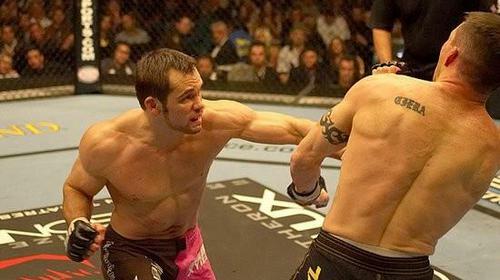 Rich Franklin vs Nate Quarry UFC 56 Nov 19, 2005 (16:39) The UFC middleweight champ Rich Franklin put his belt on the line for the first time against a top contender, Nate Quarry. Quarry came into the fight with only one loss in his career and if he left with only one loss, he would also leave with the belt. 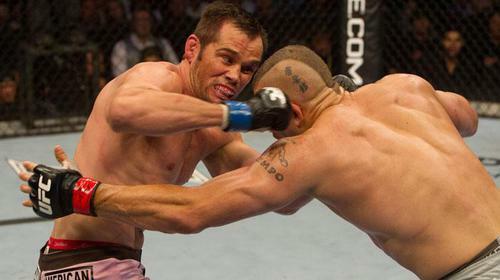 Rich Franklin vs Evan Tanner UFC 53 Jun 4, 2005 (32:40) Evan Tanner had long been known as one of the best in the UFC®, and when he took on Rich Franklin, fans were shocked at the amazing performance of Franklin against such a skilled veteran. 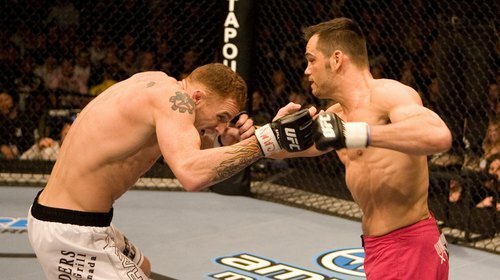 Rich Franklin vs. Ken Shamrock TUF 1 Finale Apr 9, 2005 (17:30) All MMA fans knew that Rich Franklin was one of the best fighters in the UFC®, but his emphatic first round stoppage of UFC® legend Ken Shamrock at The Ultimate Fighter® 1 finale solidified him as a UFC® superstar. Rich Franklin vs Jorge Rivera UFC 50 Oct 22, 2004 (28:17) In his first drop to middleweight, the 16-1, 1 NC rampaging Rich “Ace” Franklin entered the Octagon for only the third time to take on a fellow heavy-handed stand-up specialist in the 9-2 Jorge “El Conquistador” Rivera. Rich Franklin vs Edwin Dewees UFC 44 Jun 6, 2003 (11:18) After his stunning first round TKO win over Evan Tanner, the undefeated Rich “Ace” Franklin took his knockout power with him into the Octagon for the second time against a young but experienced Edwin Dewees, who already had 36 pro fights to his name. 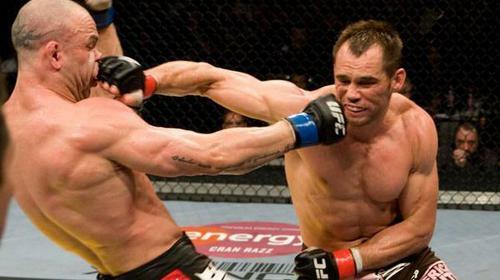 Rich Franklin vs Evan Tanner UFC 42 Apr 25, 2003 (9:06) Up and comer Rich Franklin finally got his chance at the big time when he made his UFC® debut against Evan Tanner at UFC® 42. 'Ace' made the most of his chance, stunningly stopping Tanner in the first round.